Yesterday I took the exam after a few weeks of studying and labbing. 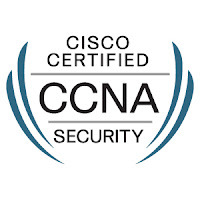 I've been working with Cisco ASA and routers for some years and I've always been fond of IT security since University period (ten years ago, wow!). Still waiting the official paper to hang on the wall.